Baby led weaning: One of many acceptable ways to get food into your kid. 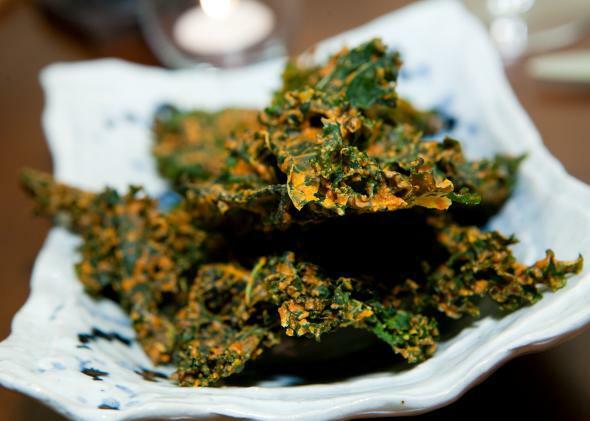 Recently, a friend from New York with adult children visited us in London, and she seemed surprised but impressed as Emma shoved fistfuls of steamed kale and roasted pumpkin into her mouth while we were out to lunch. Fistfuls of kale, people. Kale! The top of the Pollan pyramid! For the record, we fed our kid purees from about 6-8 months, then we gave her finger foods once she had teeth. Now she feeds herself pretty well, but I just call it “feeding the baby” and I am not giving it a fancy new name, justifying it with new World Health Organization guidelines, or making any money off workshops pushing it onto other parents. Look, I’m sure the lady who wrote the Motherlode post is perfectly nice and well-intentioned, but she’s just adding more fuel to the fire of what she refers to as “breast versus bottle 2.0.” How the food gets into your child’s stomach should not be something up for major discussion among strangers, unless you’re shoving cheerios up his nose. In fact, I’d like to call a moratorium on all “new” baby-rearing techniques for the foreseeable future. Babies have been pretty much the same for a really long time. There are many, many different ways to raise them and nourish them, most of which will work out. At this point, all these new baby fads are good for is making moms feel inadequate—or superior, if they feel like they’re on the right side of the issue—and put issues up for “debate” that should not actually be divisive.